Service Providers to grow and diversify their business. with additional call volume and utilization for their equipment and vehicles. Our closed loop dispatch process allows us to gather, track and evaluate performance ratings from every dispatch. As a result, we offer programs such as Performance Advantage, which offers Service Providers first call acceptance status based on the reported quality level of service provided. We also offer dedicated support teams to assist with territory management and performance coaching. Annual tradeshow exhibitions with sponsored seminars help our Service Providers manage and grow their business and increase efficiency and cost-effectiveness. Jump-starts, Winching, Accident cleanup, Vandalism, and more. This division is growing fast! 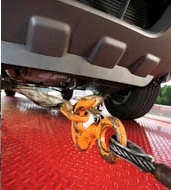 The assistance, towing and support for vehicles with a Gross Vehicle Weight (GVW) exceeding 10,000 lbs, such as RVs and commercial vehicles, among others. Agero dispatches over 130,000 Medium & Heavy-Duty events annually and business is booming! In fact, our Medium and Heavy-Duty dispatches have increased year over year by 10% nationwide. to handle the vehicles over 20,000 lbs GVW that require special expertise. Secondary/Release Management Service Providers work to move a vehicle after it's been involved in an accident to the appropriate repair facility designated by the insurance carrier. Because we allow our Service Providers up to 24 hours to move the vehicle, they have the flexibility to complete the dispatch during "non peak" business hours, and manage their workload efficiently. Our Secondary/Release Management Service Providers also have the ability to advance funds at the time the vehicle is released from the pick up location (which occurs roughly 50% of the time). The Provider submits a completed vehicle checklist and a receipt of the advance charges. Agero pays the Provider within 48 hours. 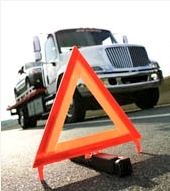 After an insured customer notifies Agero that they have been involved in a motor vehicle accident, a Priority/Accident Management Service Provider responds directly to the scene of an accident within 20 minutes and moves the vehicle to the designated repair facility. This network of Service Providers is also utilized to support a reduced response time of 20 minutes if a client requests such coverage for a specific vehicle brand or level of coverage, such as a Cadillac or a "premier" coverage level.